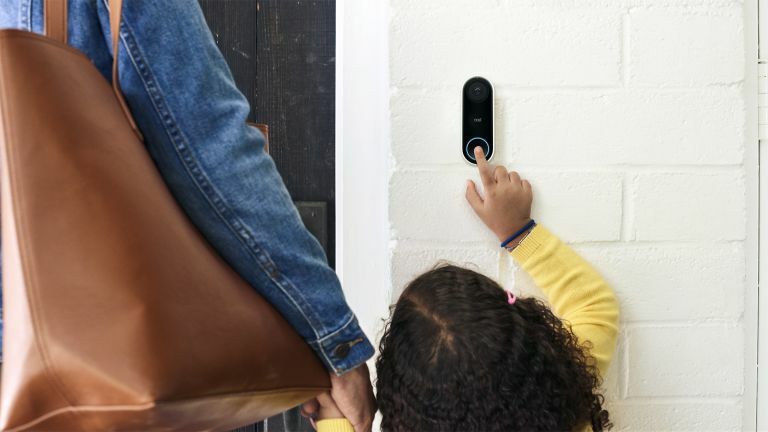 Taking a leaf out of 2016 T3 Award winner Ring (recently purchased by Amazon), Nest Hello is a smart doorbell with an HD video camera, that will let you know when people approach your door, and let you communicate with them wherever you are, whether that's the garden, or miles away. A typically sleek and attractive product from the brand who pioneered smart thermostats, Nest Hello is designed to be fitted in place of a standard door bell, and needs to be connected to an old-fashioned, not-so-sleek-and-attractive doorbell chime and transformer. A Quiet Time mode lets you turn off your chime while still receiving notifications, however. We had a brief play with Hello a few weeks ago and under controlled conditions, connectivity was rapid and lag-free, and operation as effortless as you'd wish from a doorbell. As well as the standard ding-dong sound, notifications of visitors – whether that's guests, delivery people or burly men in stripey jumpers bearing bags marked 'swag' – are sent to your phone. You can then have a conversation via Nest's HD Talk and Listen or choose from a short list of preset replies, to be delivered by a satnav-style voice on your behalf. Alerts can also be received on Google Home speakers. With an HD camera built in, Nest Hello also shows you your visitors, and can act as a 24/7 security camera. Its 2K HDR image sensor has a 4:3 aspect ratio and 160° field of view – so "you can see your visitors head to toe when they ring the bell." IR LEDs provide night vision. As ever with Nest there are some neat additional touches, including a motion sensing light ring that plainly shows your guests where the button is to actually ring the doorbell. There's video streaming so you can check what’s happening at the front door from your mobile device at any time, although more usefully, Person Alerts notify you when someone is there. Out of the box there's a 3-hour video history to peruse. Add a Nest Aware subscription and you'll get cloud video storage, face recognition technology so you know if it’s a friend or stranger at the door and a choice of 5-, 10- or 30-day video history to browse as you see fit, like the ultimate high-tech curtain twitcher. Nest Hello is available to order from today for £229 or £329 with Nest Pro installation. Nest Aware costs from £4 per month or £40 per year with a 5-day video history, up to £24 per month/£240 per year with a 30-day cloud backup. This handy online widget should give you an idea if Pro installation will be required.